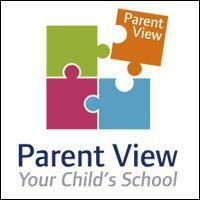 Parent View We feel that parents and carers involvement in the life of the school is crucial to the happiness and success of our pupils. With this in mind, we aim to provide lots of opportunities for you to join in with the daily life of the school through workshops, assemblies, Masses, events and celebrations. Parents' views and feedback are also crucial to the on-going development and improvement of the school. If you would like to record your views or find out about what other parents feel about St. Columba's you may wish to click on the link below which will direct you to Ofsted's Parent View website. parents to click on the link below for more information.